Photos courtesy of John & Colette Photography. 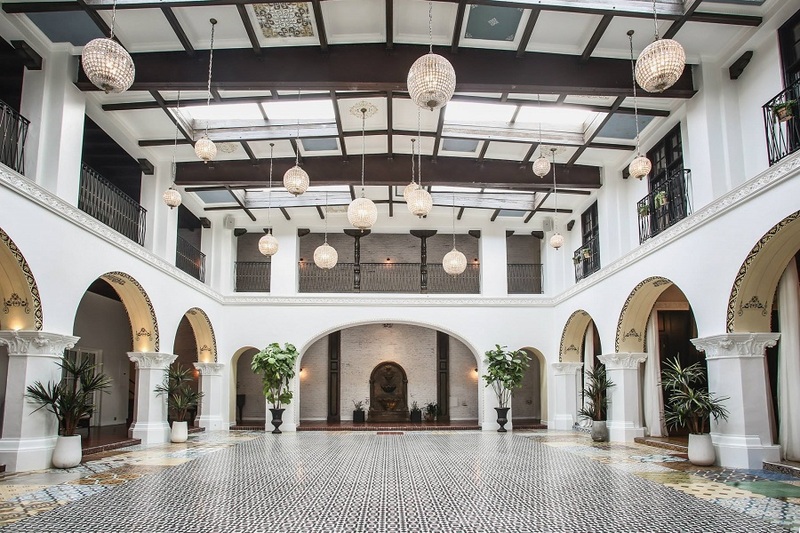 When it was built in 1924, Spanish tile and an exposed courtyard made the Ebell of Long Beach the belle of the neighborhood. 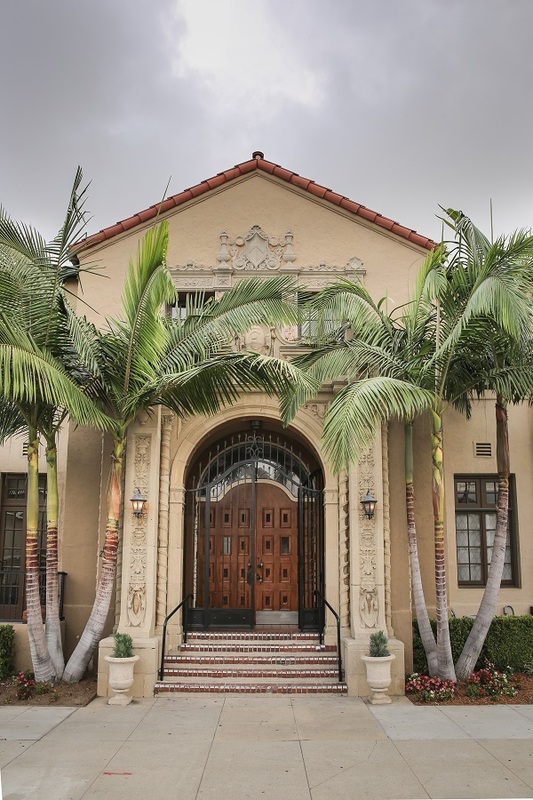 It was build for Long Beach’s Ebell Club, an organization for women that focused on philanthropic causes and expanding the cultural life of women in the city. The building sustained earthquakes and fires (one requiring a complete rebuild and the changing of the building to a closed courtyard concept with ceiling tiles). It was sold to private developers and redeveloped again. 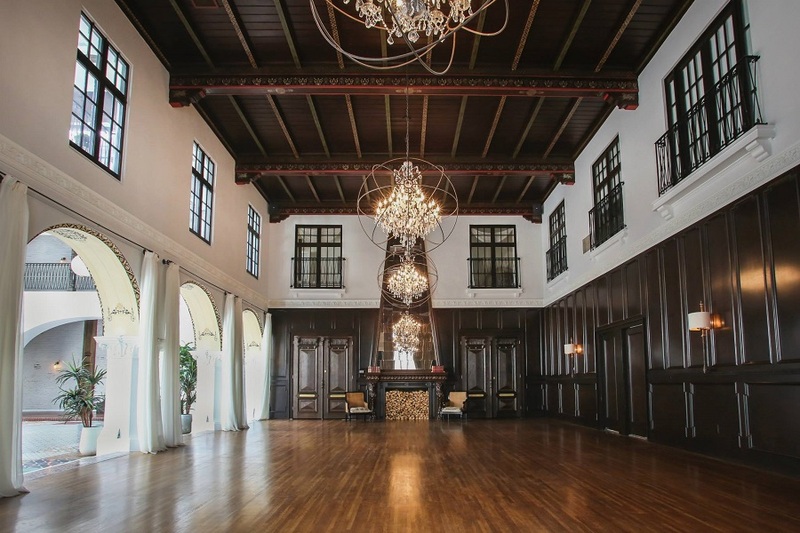 Most recently, the Ebell had a “high school gym-like” interior that served as a venue for weddings and other events. Though the exterior of the building, which was deemed a “historic landmark” by the City of Long Beach, still stood proudly, the interior was a shell of what it once was. Bare bones or no, when Alan Dunn scoped the property out last year, he was sold. “I’m always looking for interesting properties,” Dunn told the Post inside the cozy sitting room of the Ebell. As the owner of Tres L.A. Catering and a former director of the Chateau Marmont’s food and beverage services, Dunn has taken a specific interest in local venues. Dunn’s purchase of the property was finalized in March of 2015—a solid year ago. He wasn’t able to begin to make substantial changes to the venue until after other planned events were completed. 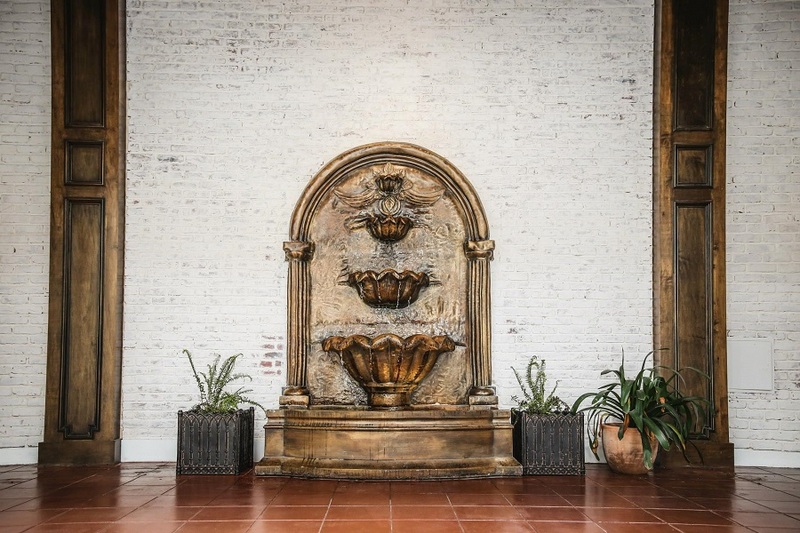 Dunn said he began restoring the venue and outfitting it with unique vintage pieces beginning in August of last year. In December, they began marketing the venue and its new look. Located at 3rd and Cerritos, the property sits across the street from Lord Windsor Roasters, bordered by leafy palm trees and suburban homes in the Alamitos Beach neighborhood. A fancy wrought-iron gate greets eager visitors at the front entrance. Inside, the sun splashes through the courtyard skylights onto the Spanish tile, washing the white walls with light. A grand wood-floored ballroom sits adjacent to the courtyard, with a richly carved fireplace and decorative reflective squares dancing above the thick mantle. The place even has a kitchen for visiting caterers like Tres L.A.—which is convenient, as most people using the space choose an array of delectable culinary selections curated by the company. Moreover, the rental fee for the venue is all-inclusive: that is, it includes the tables, chairs, audio hookups and basic necessities of any celebration. The average cost for the venue is around $5,000. Linens, catering and other items are additional expenses (adding on an extra $15,000 to $20,000 in most cases), so the place, which seats 300 people and can accommodate more than 500 people for cocktail party setups, isn’t exactly on the cheap side. 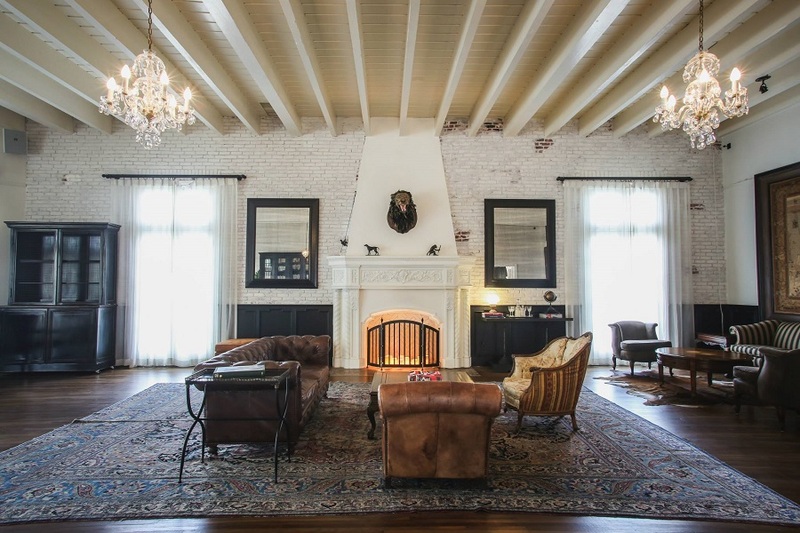 That’s ok, says Dunn, because his plan is to make the venue a highbrow, sought-after destination, much like his property in LA, the Carondelet House. According to Dunn, the venue in MacArthur Park had attracted the likes of Bill Clinton, Johnny Depp and even Maroon 5, who performed for a wedding in Carondelet that they crashed as part of their “Sugar” music video. Given Dunn’s background in acting prior to his career in the hospitality industry, it’s no wonder his venues are known among the who’s who of Hollywood. Dunn said he has high hopes for the neighborhood in which the Ebell is located, and in the Long Beach venue market, citing its status as the 36th largest city in the country. “Long Beach is young, hip and cool,” said Dunn. He pointed to Lord Windsor Roasters and the growing artisanal coffee and locavore movement often espoused by the city’s burgeoning hipster population as signs that the city is primed for greatness. His business will naturally be exposed come voting season, as the Ebell will be a polling site for the local neighborhood. The place is also already fielding film requests for various commercials and photo shoots, and Long Beach’s own tourism department is in talks to use the venue strategically. 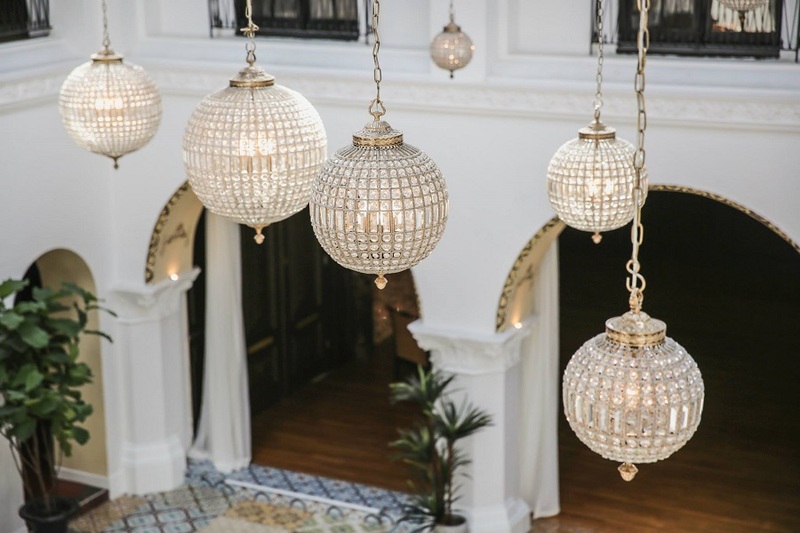 To book an event at The Ebell of Long Beach or to learn more about the renovation, visit the venue’s website, Facebook page, Instagram or Twitter. This story was updated on 3/16/16 at 9:35AM with information regarding the venue cost. The Ebell Club of Long Beach is located at 290 Cerritos Avenue.